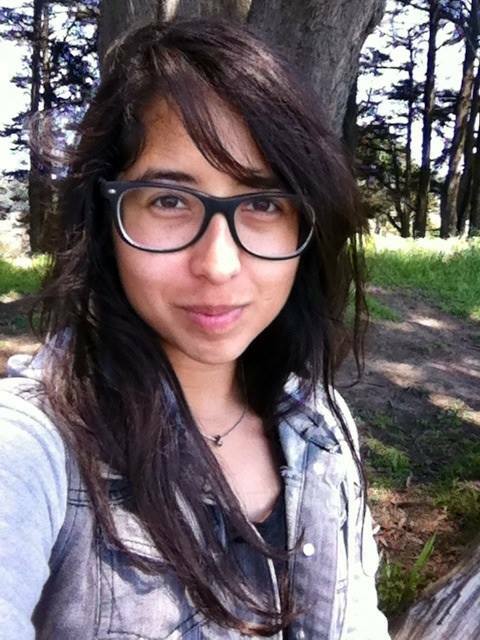 Meet our new intern, Jimena! Hi! My name is Jimena and I’m from Los Angeles, CA. I grew up backpacking with my dad and brother through the rugged Eastern Sierra. From these trips, I developed an interest in learning more about the environment, but it wasn’t until I moved to the Bay for school that I began to study and wonder about people’s role in the environment. That is how I became more interested in learning about environmental education and conservation issues. This past fall, I had the unbelievable opportunity to study just that in the Indian Himalayas. While I trekked under the shadows of some of the tallest mountains in the world, I learned about mountain ecology and had my first introduction to birding. I saw some incredible birds like kingfishers, magpies, and lammergeiers (I still can’t believe how huge lammergeiers are with a wingspan of 7-9ft!). I hiked through oak-pine forests within the foothills and got to see rock falls at a glacier terminus in Dharma Valley. I’m pretty thrilled to be interning in Alaska. I’ve never been there and the only exposure I’ve gotten of Alaska have been from movies and NatGeo magazines, so it’s taking a while for me to process that I’ll actually be learning about shorebird conservation in Alaska. Although I feel a little intimidated about working in the largest US state, I feel up to the challenge and can’t wait to begin! Interests: You can usually find me at a library looking at maps or reading Calvin & Hobbes comics. I spend maybe too much time trying to find out what I can create with nutella and peanut butter. A well-kept secret about me is I love to dance and I’m an anime fiend. I also enjoy photography, running and reading about nature and cities. I plan to continue my education by pursuing a Master’s in City Planning with an emphasis in environmental analysis and policy. With this incredible internship, I anticipate that I’ll learn more about the awesome work that Environment for the Americas does. I’m especially excited to be part of an organization that seeks to create environmental education opportunities and conservation awareness.